Renton mom Desi Tucker doesn’t expect other moms to cater to her son Carson’s severe food allergies. Carson, who is now 8 and allergic to tree nuts, eggs, soy and shellfish, attends Renton Christian School. Tucker praises the school’s efforts to create a safe environment for her son, but she and other parents of children with severe food allergies face tough challenges as the kids enter preschool and elementary-school environments. 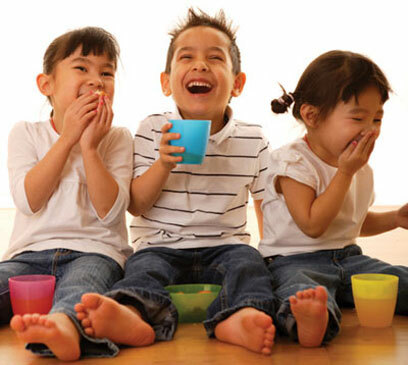 Keeping their kids safe is paramount, but so is helping them navigate the social and emotional challenges that can arise when their kids can’t eat a special class treat or need to sit at an allergen-free table. The need for these special tables in school lunchrooms is growing. A study released in June of this year found that food allergies affect about one in 13 children in this country, double the latest government estimate. About 40 percent of them have severe reactions, with peanuts and milk as the most common sources of allergies. The study was funded by the Food Allergy Initiative, a nonprofit advocacy group. To protect kids with allergies, Dr. Robert A. Wood, professor of pediatrics at Johns Hopkins University School of Medicine and author of Food Allergies for Dummies, recommends allergen tables for children younger than 9 years old. “By the time a child is 9 or 10, I believe these allergen-free tables no longer provide much benefit,” he writes. “I urge [parents] to try to emphasize the positive and keep it concrete,” he says. Many schools work to limit the sense of isolation that a child with an allergy might feel. Sometimes a child can sit at the end of a table with a “buffer” of children with safe lunches on either side. In addition to safe lunchrooms, there are particular challenges in protecting these children at school. Experts and parents emphasize the importance of working with school officials ahead of time to develop a plan for your child. The state’s Office of Superintendent of Public Instruction provides extensive guidelines and standards of care for anaphylaxis, the severe allergic reaction that can sometimes result in death. State law requires that parents notify the school of a child’s life-threatening allergy before the student attends school. Parents must also provide adequate medication (usually epinephrine) for the student and backup medication in the school office. If a student needs a special diet, those orders must be completed by a licensed physician. Parents should also schedule a meeting with the school nurse, administrator, their child’s teacher, cafeteria workers and other caregivers to review policies and procedures, including what to do in the event of a severe allergic reaction. Jill Lewis, head school nurse for Seattle Public Schools, agrees that working with parents is key. “Our mitigation strategies for students are really pretty individualized,” she says. “It certainly depends on the severity of the allergy. Has the child had anaphylaxis or not? How many different things are they allergic to? “The more complex it gets for a student, the bigger the challenge it is to protect them,” says Lewis. Other precautions can include requiring hand washing before and after meals, discouraging sharing of food and encouraging all parents to bring safe foods for celebrations. Seattle mom and internist Kathy Olson recalls the day she brought in a special cake for the table her son Isaak shared with the other “allergy boys” in his prekindergarten class. “They loved it. Everybody else had popsicles that day, but they got to have cake,” Olson says. Olson says it has been a mixed blessing for Isaak, whose allergies to eggs and milk can cause nausea and vomiting for as long as four hours. Freelance writer Elaine Bowers lives in Seattle. AllergicChild.com and AllergyMoms.com offer information from parents and experts on food allergies.